Now, I don't know about you, but I am OBSESSED with changing up my room! Ever since discovering Bethany Mota and LaurDIY on Youtube, I have bundles of ideas and I am constantly inspired to switch up my room decor. During spring/summer I love to surround myself with bright and pastel colours- light, fresh and very girly! Whereas during the autumn/winter months I much prefer warmer tones and cosier accessories. 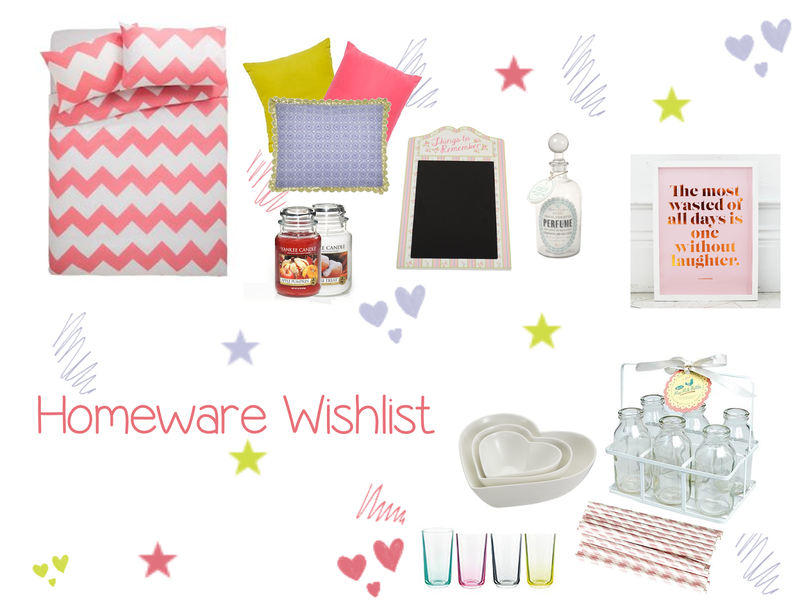 Above are the items that I am dying to get my hands on to spice up my room this season. I added a few kitchenware items as I couldn't resist the heard shaped bowls and glass milk bottles I discovered on notonthehighstreet.com. I hope you enjoy browsing my wish list and all of the items pictured are linked below.